4 Bdrm Detached Executive dwellhouse. After construction will comprise: Ground flr: V/bule. Hall. Lounge. Dining kitch. Family rm/Dining rm. Utility rm. Wet rm. 1st flr: 4 Bdrms 1 with ensuite. Bathrm (CT band - TBC). Garden. Garage. Parking. Price over £365,000 Entry by arr. Viewing 07831 831448. 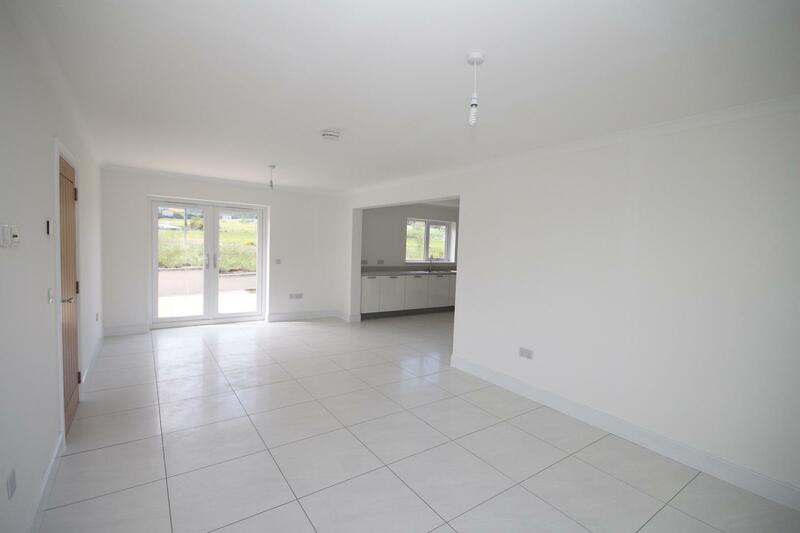 In the process of completion we offer for sale this spacious family home which will be completed to a very high standard. 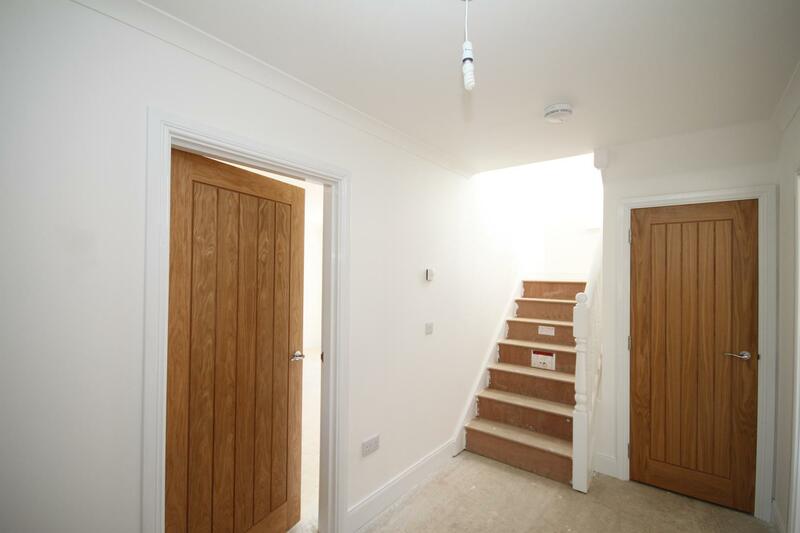 The property will have oak doors throughout and will benefit from under-floor heating through the ground floor. Please note tiling and floor coverings will not be installed. The new owners still have the opportunity to select the fitted kitchen units and white goods in the shower rooms and bathroom. 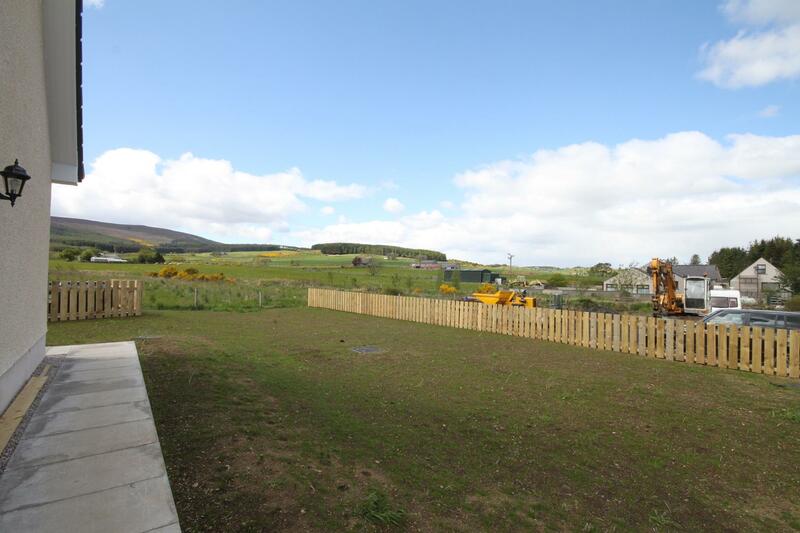 The property is located in Oyne which has a lively community with village hall and primary school. 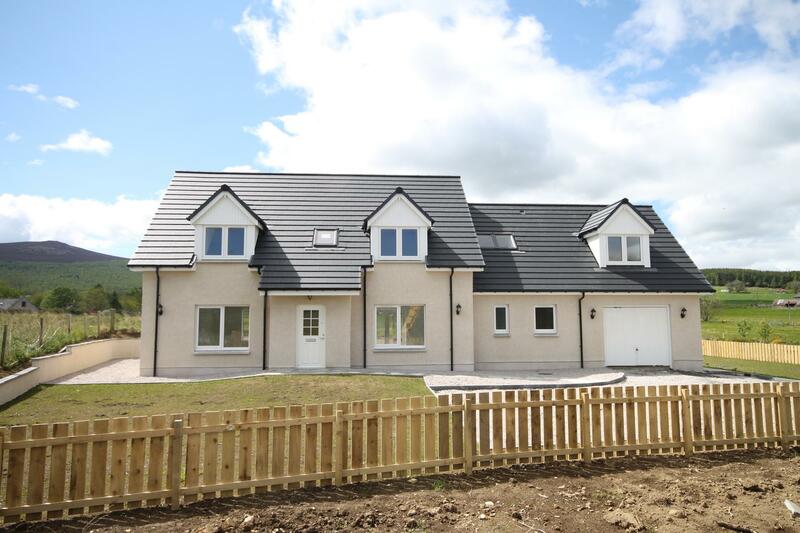 Insch and Inverurie are a short drive away with secondary schooling available at Inverurie and Gordon Schools in Huntly where there are also a large range of shops and amenities. ENTRANCE VESTIBULE Entered through part opaque glazed UPVC door. Entrance vestibule is a good size. Decorated in neutral colours. Ceiling light fitment. Double oak sliding door cupboard with shelf. HALLWAY Entered from the Vestibule a part glazed door with sidelight leads into the hallway. Access is given to the Lounge and Family/Dining Kitchen, large under-stair walk in cupboard and stairs to the upper floor. 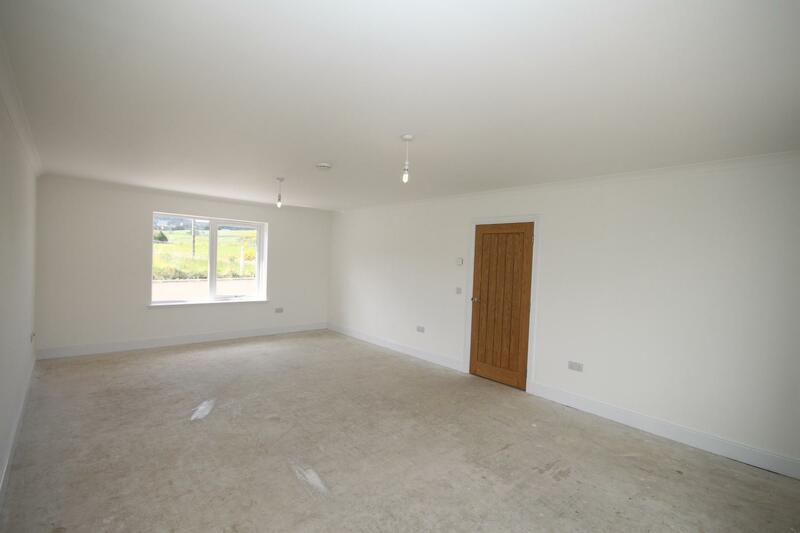 LOUNGE 23’6” x 14’3” (7.16m x 4.34m) This is a spacious Lounge and perfect living space with dual aspect windows giving outstanding views over the neighbouring farmlands and the Bennachie Range beyond. Decorated in neutral colours with ceiling light fitments, smoke detector and television points. DINING KITCHEN 13’2” x 11’6” (4.01m x 3.50m) Open plan kitchen on open-plan with the Family/Dining Room. 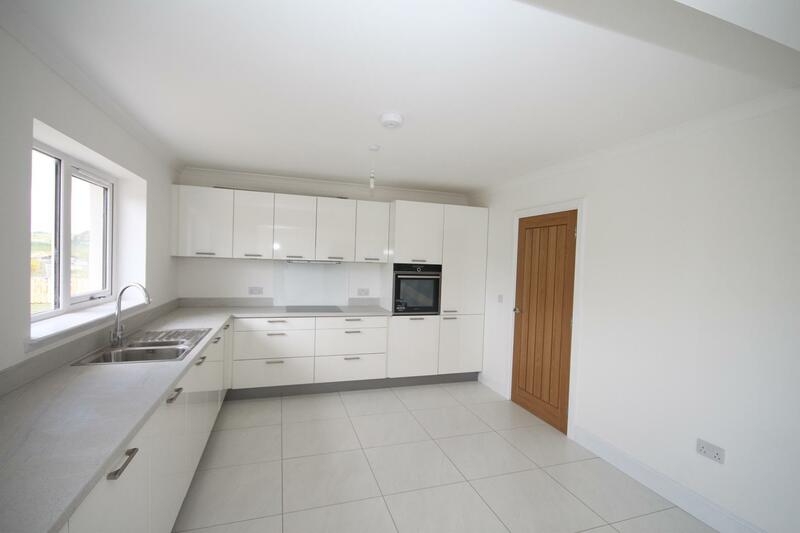 Please note the new owners have the opportunity to choose the kitchen. 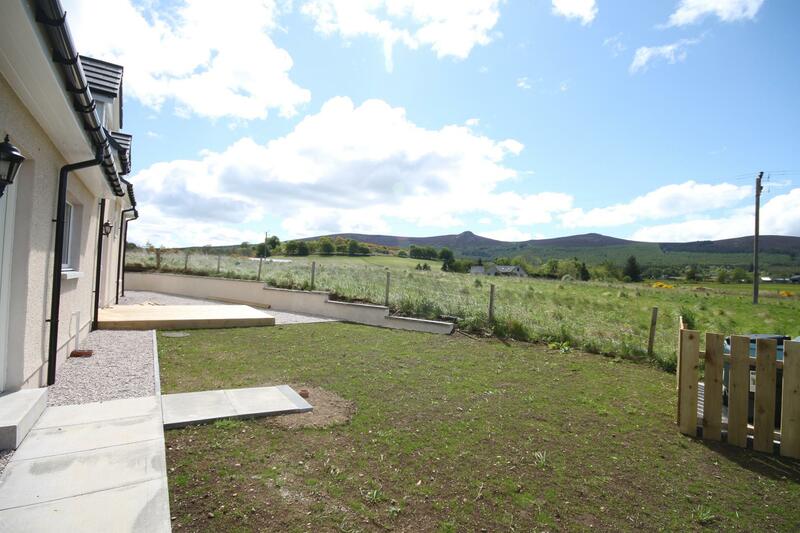 Window overlooks rear garden and views of the Bennachie range. Ceiling light fitment, smoke detector. Please note tiling is not included. Door to Utility Room. FAMILY ROOM/DINING ROOM 23’6” x 11’10” (7.16m x 3.60m) A fabulous living space with open views over the rear garden and beyond. Dining and Family area is decorated in neutral colours with ceiling light fitments. Telephone and television points. Windows to front and Patio doors lead to decked area at the rear of the property. Tiled flooring. Please note tiling is not included. Opening to Dining Kitchen. UTILITY ROOM A good sized Utility Room which again the new owners can choose. Plumbed for washing machine, decorated in neutral colours, ceiling light fitment. 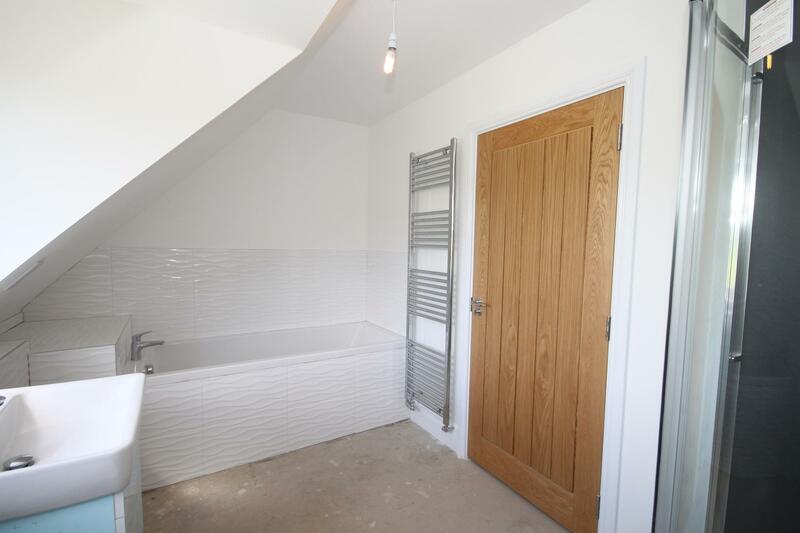 Door to Wet Room and further door gives access to integral Single Garage. 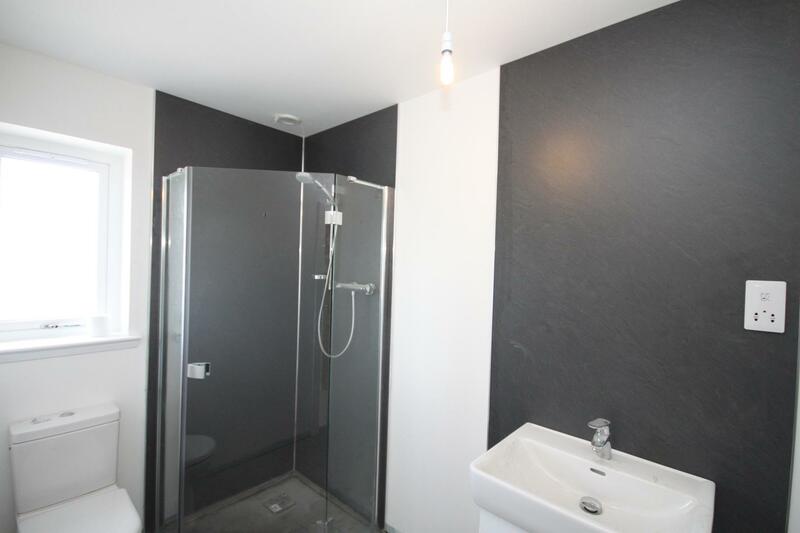 WET ROOM 9’7” x 5’5” (2.92m x 1.67m) This is a a spacious wet room with the fittings still to be chosen Shaver point. Opaque window to front. Ceiling light fitment and extractor fan. Chrome ladder style heated towel rail. Tiled flooring. Please note tiling and aqua panel is not included. STAIRS TO UPPER FLOOR Stairs lead to the Upper Hallway which gives access to the Master Bedroom, three further double Bedrooms, single Bedroom/Nursery/Home Office/Study and Family Bathroom. 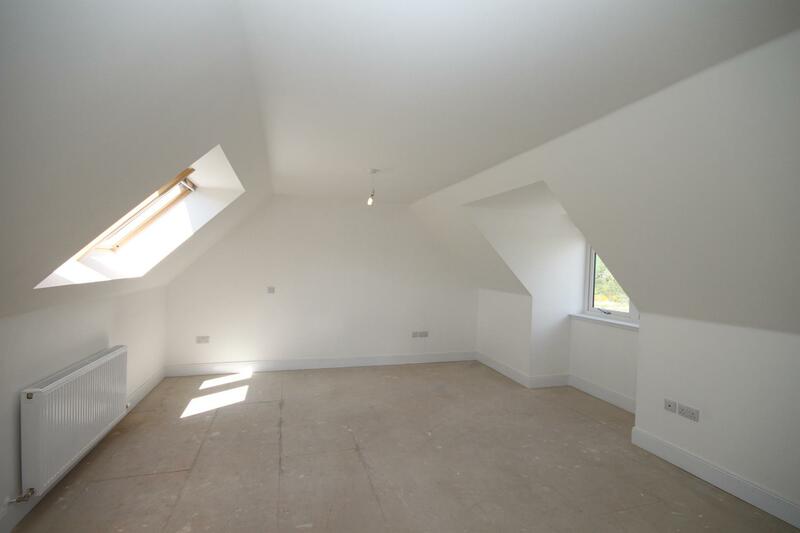 Ceiling light fitment, smoke alarm and access hatch to loft. Window and “Velux” window provide plenty of natural light over the stairwell and upper hallway. 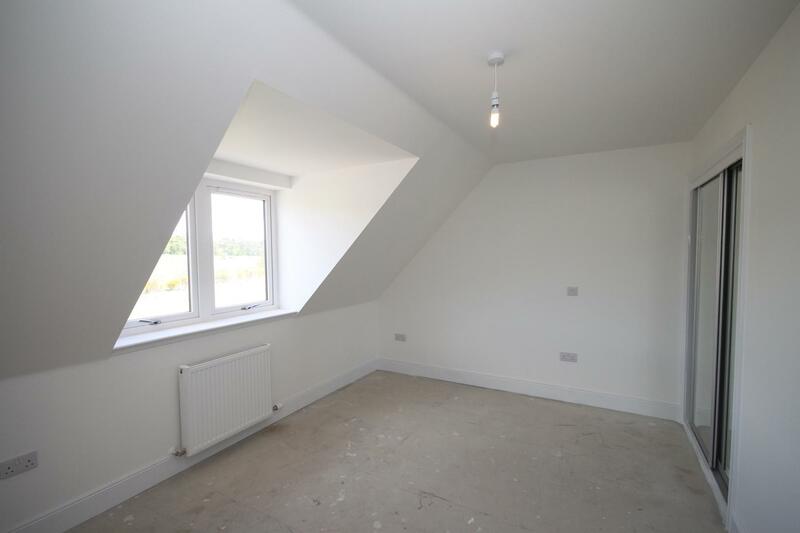 MASTER BEDROOM 16’6” x 14’6” (5.02m x 4.41m) An extremely spacious Master Bedroom with double window to front with outstanding views over surrounding countryside. “Velux” windows to rear. Decorated in neutral colours. Television and telephone points. Two sets of double sliding door mirrored wardrobes with shelf and hanging rail. 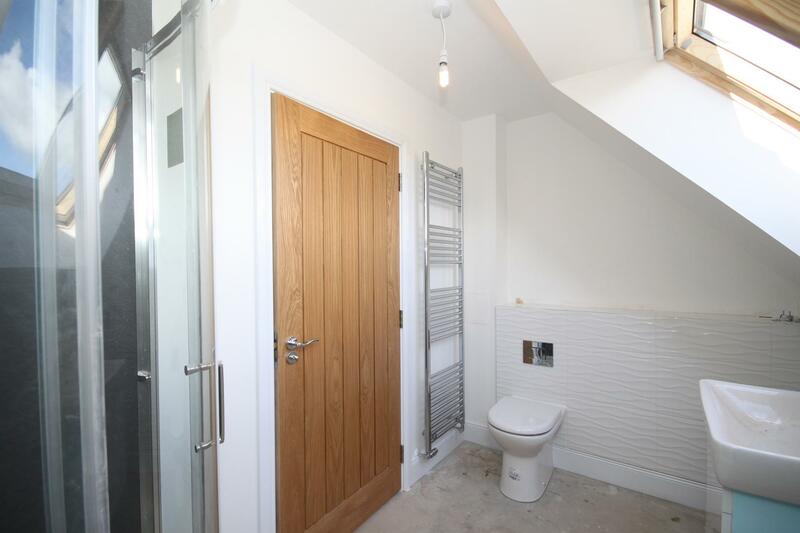 Door giving access to En-Suite Shower Room. MASTER EN-SUITE SHOWER ROOM Fittings to be chosen by the new owners. Ceiling light and spotlight. “Velux” windows to front, Decorated in neutral colours. Ladder style towel rail. Please note tiling is not included. BEDROOM 2 14’3” x 10’6” (4.34m x 3.20m) Good sized second double Bedroom located to the front of the property. Overlooking the front of the property with double windows. Decorated in neutral colours, ceiling light fitment, double door mirrored wardrobe with shelf and hanging rail. Television point. 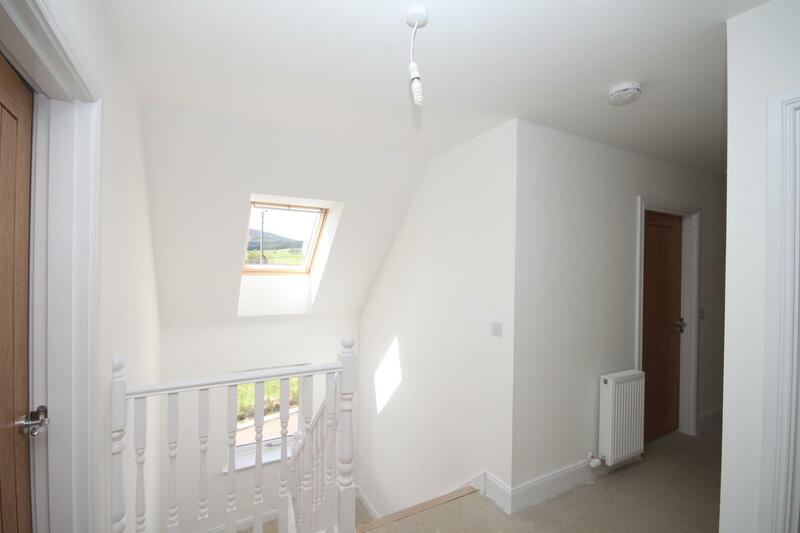 BEDROOM 3 14’3” x 10’4” (4.34m x 3.14m) A third double Bedroom overlooking the rear of the property with double window giving views of the surrounding countryside and farmland. Decorated in neutral colours, ceiling light fitment, television point, double sliding door mirrored wardrobes with shelf and hanging rail. BEDROOM 4 11’7” x 9’6” (3.53m x 2.89m) Fourth bedroom and again a good sized double bedroom with windows overlooking the front of the property. Decorated in neutral colours. Double sliding door mirrored wardrobes with shelf and hanging rail. BEDROOM 5/NURSERY/HOME OFFICE/STUDY 7’9” x 6’6” (2.36m x 1.98m) Single Bedroom which could easily be used as a Nursery or Home Office/Study. “Velux” window to front. Decorated in neutral colours. Ceiling light fitment. FAMILY BATHROOM 11’9” x 7’0” (3.58m x 2.13m) Fittings to be chosen by the new owners. Opaque windows to rear. Ladder effect chrome towel rail. Ceiling light fitments, and down-light. Shaver point. Please note tiling is not included. OUTSIDE To the front of the property is a driveway, which will be tarred and leads to the integral SINGLE GARAGE which has both light and power, houses the boiler, heating system and the fuse box. There will be areas of lawn to the front and side, a path leads around each side and to the rear of the property. Further area of lawn to rear. Exterior lighting. Outside tap. Decked area. The property is entirely enclosed making it secure for a family with children or pets. ADDITIONAL INFORMATION Please note the photographs are for display purposes only as this property has already been SOLD. Please note the pictures are of the 1st of 4 which is sold with 3 options remaining. Tiling and floor coverings are not included in the sale price. DIRECTIONS Heading North out of Inverurie on the A96, take the left at the Oyne Fork, continue through Oyne and the New House is situated on the left hand side clearly identified by a Peterkins For Sale sign.